Jawahir Ahmed currently lives in Logan, Utah and attends Utah State University. She is majoring in Health Education and Promotion with plans to work as the health adviser for Engineers Without Boarders. She is in the Miss Africa Utah pageant representing the beautiful country of Somalia. Although she was born in Logan, Utah, she still represents her country respectfully. She knows about where her parents come from, whether it’s the food she cooks or the native tongue she has grown up listening to. Her parents came here in 1991, the same year she was born, escaping from the civil war. Her parents specifically chose Utah because of the beautiful green-grass landscape that reminded them of their homeland of Somalia. The two most important events that happened in Jawahir’s life was when she was chosen to represent her college her freshman year, by having videos and blogs posted monthly about her college experience on the school webpage. Her second greatest accomplishment was getting accepted to Utah State University. The three best words to describe Jawahir would be strong, dedicated, and optimistic. 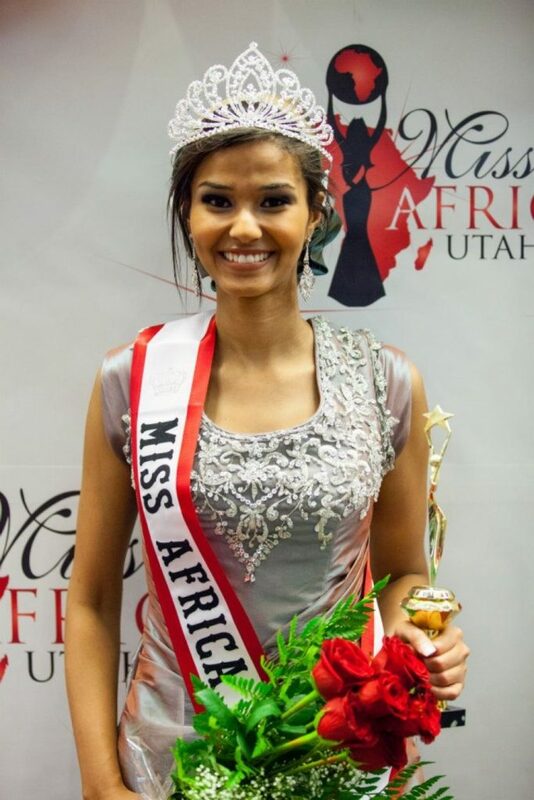 Those three words tie her to future aspirations of her hopes to become Miss Africa Utah.